“Stories of Youth Homelessness” with Mockingbird Society An interactive training by a panel of young people with personal experience of homelessness, followed by a panel Q&A. 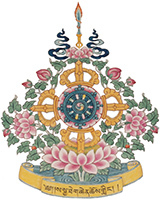 Monday, April 22, 2019 7:00-8:30pm In the Sakya Monastery Cultural Hall. Free, donations accepted.